VENICE, ITALY - AUGUST 3, 2016: Boat navigating on a canal near the Rialto station. Venice has 177 canals connected by 409 bridges and boats are the most common transport mode. hd00:32VENICE, ITALY- AUGUST 3, 2016: Boat navigating on a canal near the Rialto station. Venice has 177 canals connected by 409 bridges and boats are the most common transport mode. 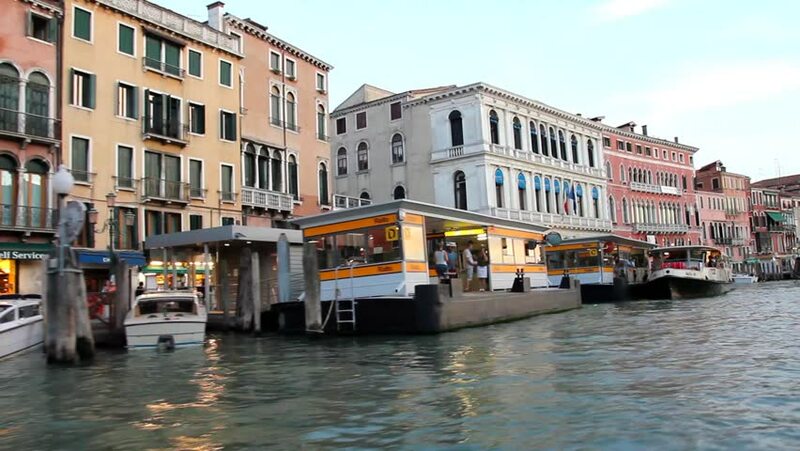 hd00:15Taxi boat in Venice water canal. Yellow boat ride on Venice canal, travel away from fortress tower in background. hd00:36VENICE, ITALY - 4 September, 2014:Boat traffic on the Grand Canal in Venice, Italy.